The Training Zones are related to the workout intensity, each zone representing a different heart-rate range (percentage of your HRmax). Each zone influences the human metabolism in a different way, producing specific body changes and allowing your members to target their training to their fitness goals. What are my personal heart rate zones? In order to setup heart-rate ranges and thresholds for each training zone, Uptivo defines a HRmax value (maximum heart-rate) for each athlete by using their date of birth (age) as specified by the Tanaka formula. Trainers can easily adjust each members’ HRmax to properly reflect their current fitness level and conditioning, or to account for recovery training from cardiovascular conditions and medical therapies that might temporarily affect the heart capacity.  Uptivo Armband tracks workout intensity by using an innovative LED optical sensor powered by PerformTek®. This arm-based heart rate monitor is perfect for any kind of exercise, from individual sessions and group training at the club – such as HIIT and spinning class – to home workouts and outdoor activities. The armband is compatible with all wearables capable of Bluetooth or ANT+ transmission, and with the most popular smartphone fitness apps such as Strava, Runtastic, Runkeeper, Nike+, etc.  Uptivo Belt is the ideal choice for heart-rate-based effort monitoring – in the open air, at the club, or at home – helping you to reach your fitness target. The Belt works with all Bluetooth or ANT+ wearables, and can be paired to the most popular fitness apps such as Runtastic, Runkeeper, Endomondo, and more.